Guys, I’ve been hiding something from you. It isn’t easy to say this. But, I have to come clean. I, Analiese Trimber, am in love with Applegate. 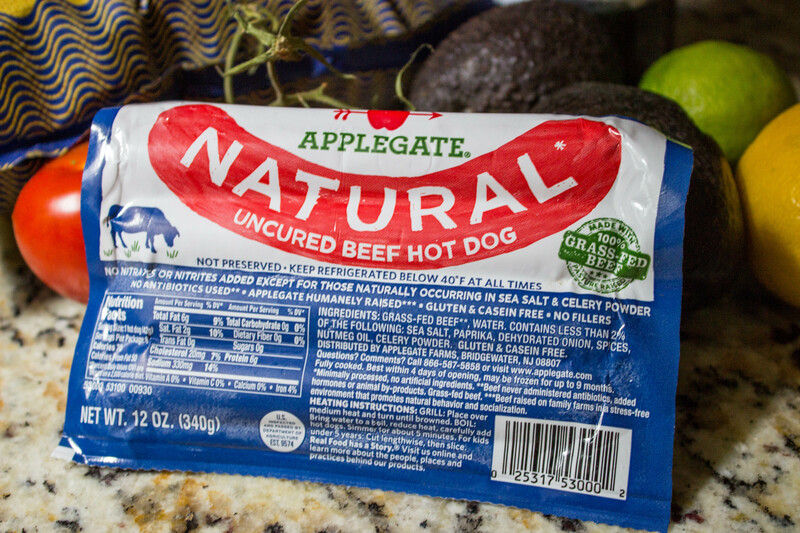 As a blogger and food writer in general, I try to stay product agnostic, but I am an Applegate loyalist and I will be until the day I die. My absolute favorite thing has to be the smoked turkey, and I eat it almost every day for lunch. When I found out they were launching their #cleanerwiener campaign, I ran to the store to stock up on their juicy hot dogs, stat. 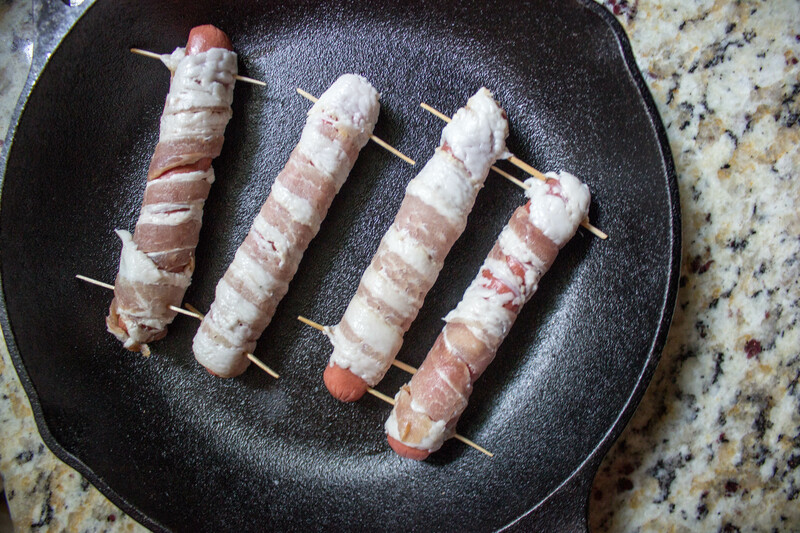 Because I’m all for combining as many pork products as possible into one dish, I present to you these bacon-wrapped Applegate hot dogs. 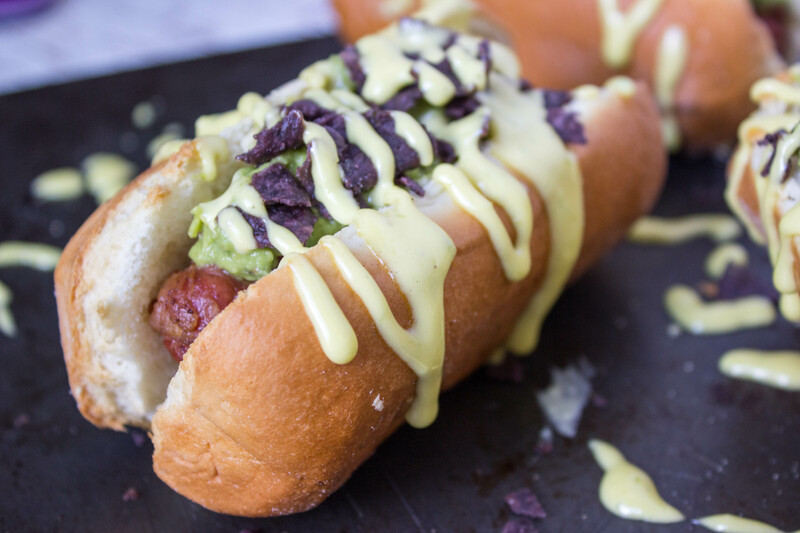 And because I was feeling a little festive, I decided to add some guac, Garden of Eatin’ blue corn chips, and my special jalapeño-lime aioli on top. Please do yourself a favor and make these, ASAP. Slice bacon in half length-wise, so it is half as wide. 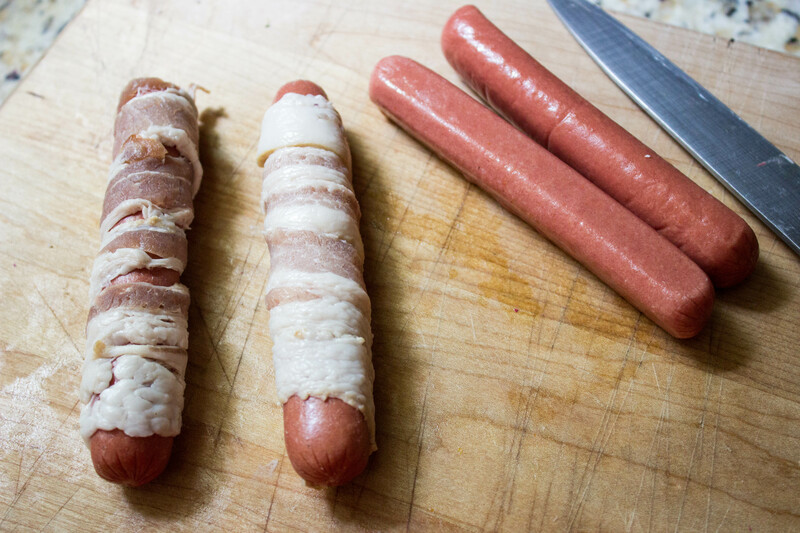 Cut a slit in each hot dog, then wrap in bacon and secure both ends with a toothpick. Place in a cast iron skillet or other type of pan that can go into the oven. Cook in oven for about 10-15 minutes, or until bacon on the side in contact with the pan has browned. Flip hot dogs and cook for an additional 10-15 minutes, again keeping an eye on the bacon. 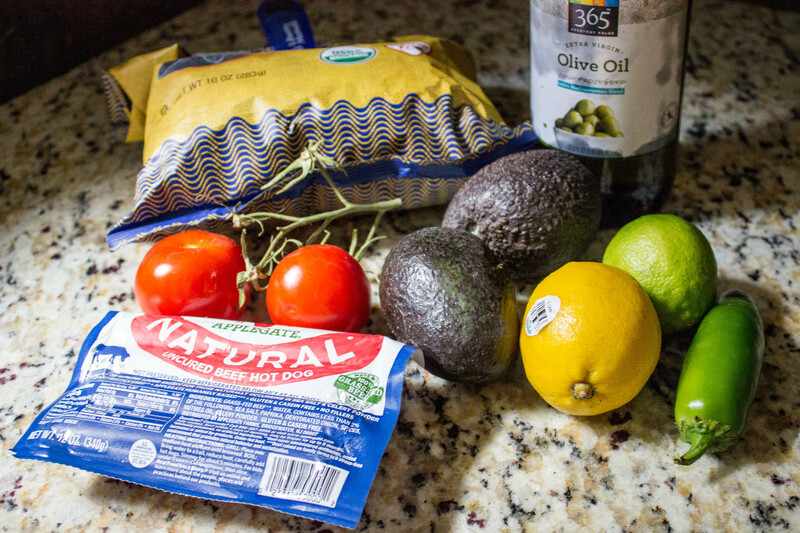 While the hot dogs are in the oven, start making your guac. In a separate bowl, mash both avocados until your desired consistency. Add diced jalapeño, tomato, lemon juice, lime juice, and salt and pepper, and stir to combine. 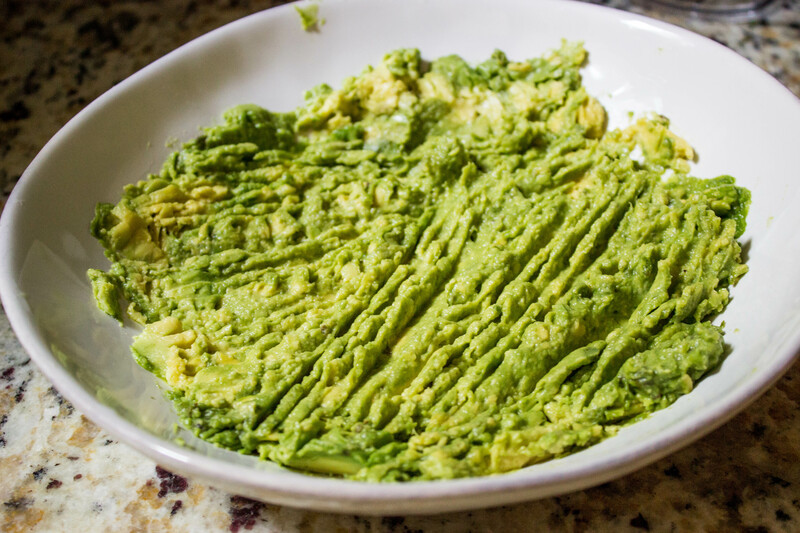 Set guacamole aside until ready to plate. 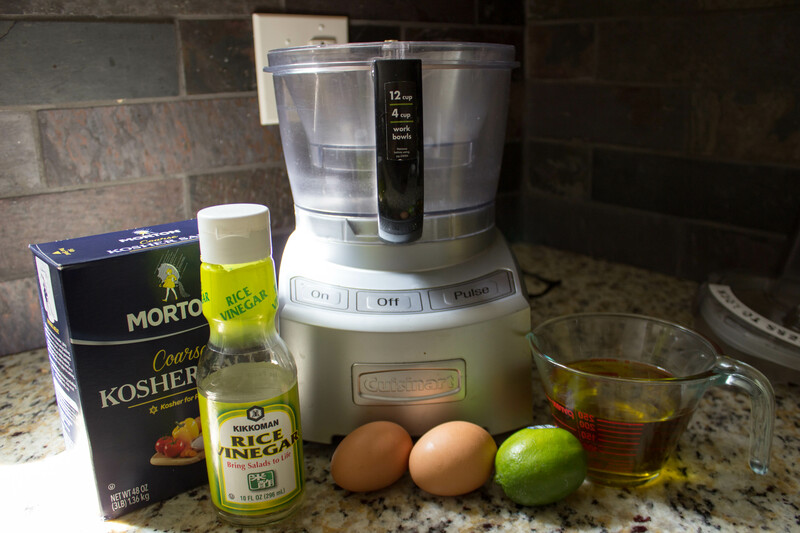 Add all aioli ingredients except olive oil to your food processor. Pulse a few times until ingredients are fully combined. Once ingredients are combined, turn food processor on and slowly add olive oil in a thin stream until all used, or until aioli is at your desired consistency. Remove finished aioli to a separate bowl and chill in the fridge, if desired. 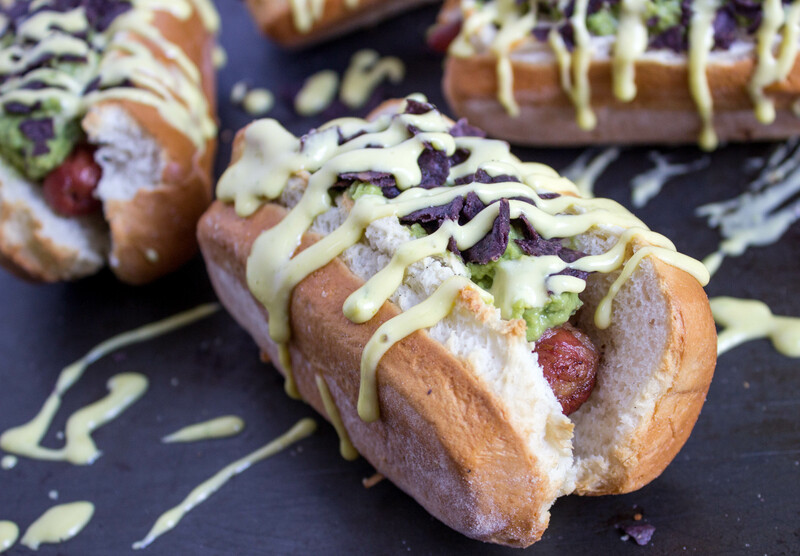 Once all components for the hot dogs have been made, toast your gluten-free buns (if desired). 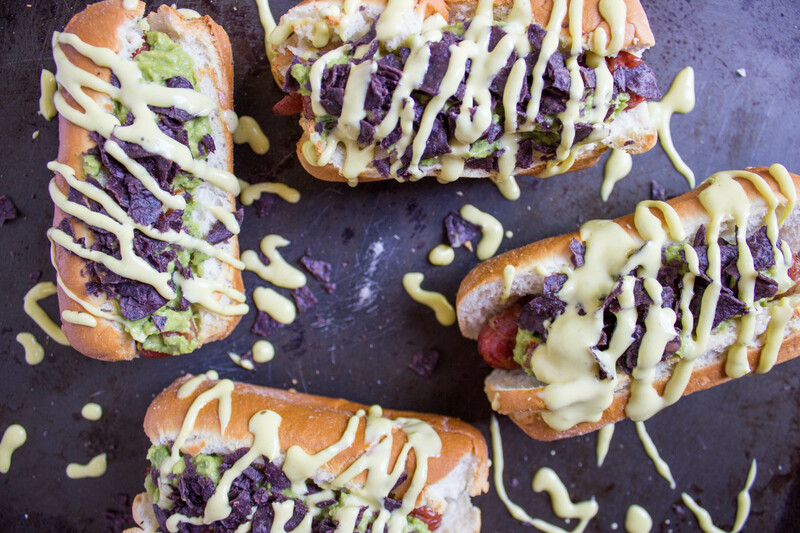 Place bacon-wrapped hot dog in bun, top with guacamole, crushed Garden of Eatin’ blue corn chips, and drizzle with jalapeño lime aioli.